Toyota is swinging for the fences with its upcoming redesign of the Toyota 86, with designer Tetsuya Tada promising some huge changes for the sports car. The Toyota Camry has been America’s best-selling vehicle for 14 years in a row – a testament to the nation’s appreciation for the well-designed and built sedan. Toyota is celebrating 50 years with a special edition corolla. Learn more at North Hollywood Toyota. Learn how the new Toyota Sienna offers a family favorite ride at North Hollywood Toyota. The Toyota 4Runner is time and again one of the top sport utility vehicles in its class. While many car aficionados long for the days of classic rides and muscle cars, it is safe to say that today’s drivers can get more out of any vehicle on the market. When you’re in the market for a new car, it is important to do your homework on your options. Learn your financing options for your new Toyota today! There are a variety of Toyota incentives available for you. Learn about the state of California’s “Replace Your Ride” program today. As 2015 draws to a close, drivers can’t wait to get behind the wheel of the newest 2016 cars on the road. The Toyota Tacoma is one of the most easily recognized and popular pickup trucks available in America today. The all-new 2015 Toyota Sienna offers drivers comfort, practicality, and style with eight-passenger seating capacity and high marks from the Insurance Institute for Highway Safety. The car industry is quickly changing. To date, car manufactures have relied on gasoline and diesel engines to power their vehicles. 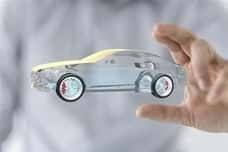 Every year car manufacturers gather at various auto shows around the world to show off the latest and greatest technology and concepts that will shape driving for years to come. As a parent, it can be a scary proposition when your teenager reaches driving age. Toyota’s line of hybrid vehicles can help both you and the environment. Learn more today! Toyota’s latest innovation to make driving safer and more convenient is the 3D heads-up display for traffic updates and navigation assistance. When it comes to choosing the right family vehicle, Toyota is the critics’ top choice. Learn which Toyota is the right one for your family. Efforts are being made to be more green throughout the world, and a perfect example of that is Toyota's electric car initiative in Grenoble France.